US: US President Donald Trump says that he will write a “real book” about his time in the White House, as he continued to seek to discredit other efforts to chronicle his chaotic tenure. 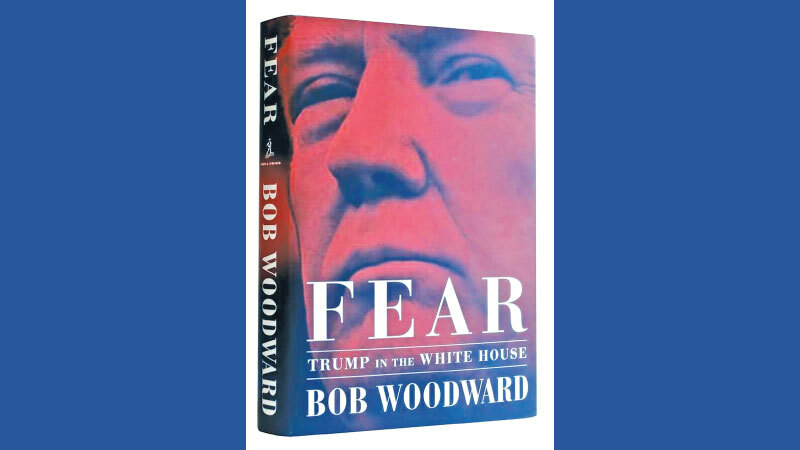 Woodward has said he stands by the reporting in his book, which offers a harrowing portrayal of Trump’s tenure, with aides seeking to curb his worst impulses, and Trump denigrating some of those who work around him, including Attorney General Jeff Sessions. “Dems can’t stand losing. I’ll write the real book!” Trump said in his tweet. As part Trump’s efforts to discredit Woodward on Monday, he wrote another tweet in which he quoted Washington Examiner reporter Katelyn Caralle as saying, “You cannot take this book too seriously.” Caralle’s Examiner biography notes that she first came to Washington as an intern for the conservative Heritage Foundation in 2016.